The society is considered one of the first formal organizations founded by free blacks in the United States. Mutual aid societies were created by free blacks in the early period of the United States as a way of mitigating difficult times since avenues of welfare were often segregated and controlled by whites. The societies also acted as cultural centers of local communities in conjunction with churches. Membership had spiritual, moral, and philosophical components which complimented the practical benefits of financial assistance when illness and death struck the family. Most mutual aid societies at this time were short-lived and not always well-documented, but the evidence is clear that such groups existed and contributed positively to the free black and slave community. In 1780, The African Union Society (AUS) was created in Newport, Rhode Island. While most blacks from Rhode Island were free by 1807, strong prejudice and oppression were present before and after that date. The AUS developed partly in response to these difficulties, as well as a forum for black cultural discussion. The society is considered one of the first formal organizations founded by free blacks in the United States, although similar societies would form over the next thirty years throughout the Northeast. 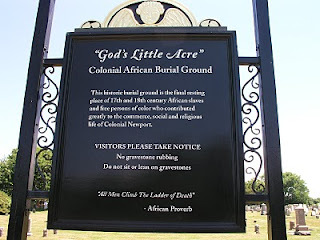 Some of the difficulties faced by free blacks of Rhode Island at this time included recording births, deaths, and marriages of their community, and on this premise the AUS was created. It is not surprising that this marginalized group could depend only on themselves to document family and communal life in these basic ways; blacks were segregated in churches, kept out of public schools, denied employment, and even separated from whites in cemeteries. The society provided this documentation service to free blacks and slaves. Newport Gardner’s original name was Occramar Mirycoo before being taken from Africa. In addition to his work with the AUS, he taught Western music, developed the ability to speak English, French, and African languages, and helped organize early religious meetings in homes like that of Peter Bours shown here. Former slaves, including Newport Gardner and Pompe (Zingo) Stevens, were two of the leaders in creating the African Union Society. 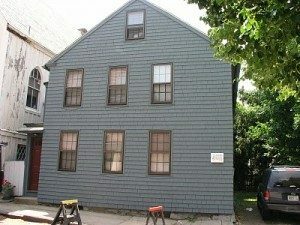 By providing the basic record-keeping services previously mentioned, the society hoped to encourage a strong family structure for all blacks in Newport. Additionally, the AUS took on young black apprentices in hopes of creating a pathway to freedom for them. One of the ways Gardner was able to purchase his freedom was through trade work, and he naturally believed in its value to lift up others. For its members, the African Union Society provided the typical benefits of a mutual aid society, a buffer from the effects of illness and death in the family. Beyond the local welfare of blacks, the organization made contact with free blacks in a number of surrounding communities, hoping that expanded membership would lead to greater advancement of the race overall. They also pooled financial resources to provide loans and facilitated black purchase of property. Some of its members were born in Africa and felt a strong connection to their home continent, and the African Union Society were early leaders in the efforts for emigration to the home continent. Reportedly, Gardner and seventy others were interested in making a new home free of Euro-American economic and political control.1 This idea would come to fruition only decades later in 1825 when Gardner arrived in Africa with a small group. He died shortly after completing the trip. The greatest difficulty of seeking emigration or colonization in Africa is demonstrated by a letter from Anthony Taylor, the AUS president in 1787, to the federal government. Taylor explains that they write for want of money and to make sure they can claim the African land for us and our heirs.2 Interestingly enough, American ideals were present in the discussion of what a new homeland would be like. In a letter to Philadelphians, it was suggested that each emigrated settler might have a share of private property, elect their officials, have freedom of religion, and the right to bear arms. Many African societies had a shared concept of property and did not elect leaders. One example of the society’s role in black cultural matters was its strict dress codes for member funerals developed from 1790-1794. On a basic level, this ties into the goal of the society to preserve the dignity of black family life. Some historians have speculated that the public nature of funerals, marked by a high level of formality, could have also acted as a demonstration to whites in the community of blacks’ equality. Unfortunately, free blacks may have used white funeral styles instead of African rituals, showing the pervasive nature of cultural oppression. Even in death the race line was often maintained throughout the country. As the place where Newport’s people of color went after they died, God’s Little Acre has become an important resource for scholars interested in race in the colonies. In 1809, a female counterpart to the AUS, the African Female Benevolent Society, was created. The group focused on needs of the black Newport community in a less conditional way in clothing and educating many underprivileged children. While it is unlikely women were given a voting role in mutual aid efforts previously, there is no documentation that the new society was created in protest. Many in the new society were related to African Union Society members. The constraints of segregation at that time are a likely cause for the diminishing of the group’s prominence near the turn of the century. Another key development was the shift in focus from mutual benefits to the organizing of a group more religious in nature. Within three years of the society’s founding, Gardner and membership had already made some adjustments to become more religious in nature, and the moral standards established for the group were based on Christian principles. By 1824, the African Union Society completed its evolution and took up the new name Colored Union Church and Society. 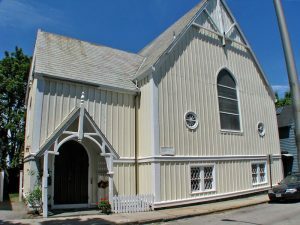 It became the first separate black church in Newport, and it followed the example of similar groups like the Free African Society. In fact, the creation of an independent church may have been made earlier if it was not for Samuel Hopkins, a theologian who rejected slavery. Hopkins created the First Congregational Church of which slaveholders were banned and some blacks were given full membership in Newport. He preached until his death in 1803 and was well known by AUS members, many who attended his church. The Colored Union Church was one of the first churches with a solely black administration and congregation. It hoped to even unite blacks who had different denominational backgrounds. 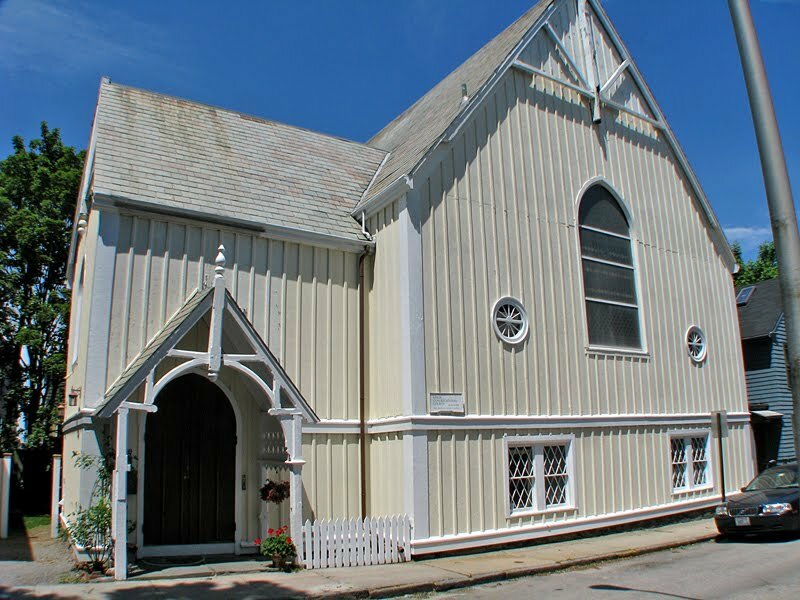 In 1859, it became the United Congregational Church and has continued as a part of the Newport community to the present day. The African Union Society, living up to its name, was a significant effort by free blacks to disassociate from the oppressive nature of the early Northeastern United States while maintaining their love of God, family, and community. 1. “Images of Hayti: The Construction of an Afro-American Lieu De Memoire” by Elizabeth Rauh Bethel. Callaloo, 15(3), Part 2 Summer, 1992:829. “Newport Gardner (1746-1826)” in The Black Perspective in Music, 4(2), July 1976. “Viewing the Color Line through the Material Culture of Death” by James C. Garman. Historical Archaeology, 28(3), 1994. 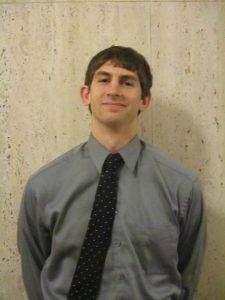 This entry was posted in African-American, Black, History, Race, Racism. Bookmark the permalink.